PW: Your story is still not entirely clear, as there’s no complete and definitive answer to the question "What was this?" We refer to your so-called negotiations with Kadyrov and the circumstances surrounding them. For a long time there were rumours that you were going back to live in Chechnya or were becoming a sort of representative of Kadyrov’s Chechnya abroad. Now you seem to have rejected all those hypotheses, but we would like to understand when and how it all began, how it went, and why it came to an end. 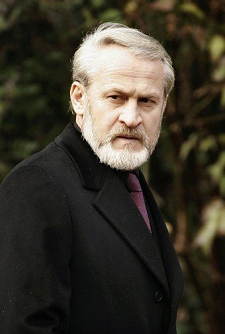 Akhmed Zakayev: Well, for those who are really slow on the uptake, I can go over this subject again for the umpteenth time. My position on all the issues has always been completely open and transparent. Because of these long-held and unchanging views of mine I’ve been unable to meet the assumptions of those well-wishers and detractors who have fixed their attention solely on the misleading subject of my contacts with Kadyrov and have speculated about whether I intended to return to Chechnya or had changed my convictions. Those things have not happened, and are not about to happen. My approach is based mainly on the fact that until the cause of Chechen national independence becomes a reality, this conflict is doomed to go on reproducing itself in new forms and new conditions. The confrontation with Russia, which has taken the path of expanding its territories by force, attempting to suppress Chechnya by the same methods that were used several centuries ago, will continue. When I decided to enter into contact [with Kadyrov’s government], my actions were not spontaneous, I had considered it all first and was in agreement with all who are involved in the political process today, despite the differences in the political positions occupied by people in that circle. Some of those people were even leaders of their own movements. But we had a clear plan, a definite idea about what we want and where we are going. Those who were uninitiated in the details were, of course, free to draw their own conclusions, and I couldn’t just follow my emotions and reply to each and every point raised, because we had a clearly worked-out strategy for achieving certain political goals. PW: And what goals, what real concessions could you have got from Kadyrov? PW: But Kadyrov didn’t observe such ethics at all, he repeatedly made public remarks about you in terms that were far from diplomatic. AZ: I didn’t really talk to Kadyrov about anything. That is the absolute truth. There were two short telephone conversations about nothing. We had no other discussions about any specific events. PW: Where did he get his account of the long phone conversations he had with you? He said that during them you praised him to the skies but avoided giving straight answers to his questions, that when he gave you a direct invitation to return to Chechnya you dodged the issue. It’s all described in great detail in the interview Kadyrov gave to Alexander Prokhanov. PW: On their initiative or yours? AZ: The initiative for a meeting with a representative was mine. As soon as that meeting took place in London in 2006, I outlined the position on which we could go ahead together. I suggested that we should find a mutually acceptable formula and develop a common platform to resolve the conflict. There was no talk of arranging a post for me, or of my returning to Chechnya. If you ask me now whether I will go home, I’ll say yes, that is what I live for. But it doesn’t mean that I’m ready to join those who’ve become the mouthpieces of Russia's colonial policy in Chechnya, a policy that has created a totalitarian dictatorship of a kind that hasn’t been seen there since the days of Imam Shamil. Right from the start of the dialogue we made it clear that there was only any point in discussing the projects we were going to develop if it was all agreed with Moscow. And it took them nearly two and a half years to reach agreement with me on those points and contacts. Since 2006 we’ve had constant consultations with Moscow and the Kremlin. Again, I don’t want to talk about nuances of which I’m perfectly aware, but that’s a fact, and everyone who took part in the talks is well informed about it all. But today they’re not free to speak out on the issues that we discussed, even though when the talks were taking place there was complete mutual understanding. The fact is that in Moscow itself today there is no single centre for the taking of policy decisions. It’s highly probable that the people with whom I held the talks took part in them with the sanction of one of several centres, and an understanding had been reached. Only after receiving permission from Moscow would they agree to upgrade our informal contacts to the level of formal meetings. And that point was agreed directly with Russia’s top leadership. But later on, when the comments like the ones on your website began to appear, saying that I had capitulated and surrendered Ichkeria, there was an equally loud chorus of voices accusing the Kremlin of abandoning the borders Russia established in Chechnya – giving up to the enemy for free what had cost two wars and massive loss of life to obtain. There was a clearly threatening tone from another centre of power, which said: we will not let you do this. And so, on the basis of this new mood a completely different order was handed down. Incidentally, my interview in Kommersant-Vlast was not important at all, it was just an excuse for Moscow to make public a political decision it had taken long ago not to pursue any further contacts with us and our side. I can list for you again the points we discussed. The first of them was the return of the bodies of President Aslan Maskhadov, Khamzat Gelayev and other Chechens who have not yet been buried according to our traditions and customs. The second concerned the 20,000 Chechens who are still in prison. Whatever [parliamentary speaker Dukvakha] Abdurakhmanov may say on the subject, we do not control the situation, we use the data supplied by international organizations and the information received directly from the victims and their relatives. We have created a whole series of mechanisms that operate in spite of the – as you put it – ephemeral nature of our legal framework. We are not seen by the public as Chechnya’s rulers, but as people who actually oppose the regime and sympathize with the victims. And on this basis they trust us and give us information which doesn’t appear anywhere else today. The issue of the 20,000 people who are languishing in Russian prisons was the main one, of course. At the talks we said: you must solve the problem of these people together with Russia’s leaders. If you are trying to persuade Chechen refugees to return from Europe it would be logical to begin by rescuing their compatriots from the appalling conditions in which they are held in Russian jails. And the third point was an end to the practice of persecuting the relatives of men who take part in the resistance. All of these issues were included in the agenda of the talks. In order to give the process legitimacy and public resonance we agreed to hold a World Chechen Congress which was to address the Russian and Chechen leaderships with a demand that they take appropriate action on all three points. That was our agreement. One more comment on the things Kadyrov said. I really did on several occasions receive an offer to return and take up a government post, but I flatly rejected that chance. Whether my words were reported to Kadyrov accurately, I don’t know, but I suspect not, as there’s a huge discrepancy between our actual conversation and what he said afterwards. PW: The reports of the talks have caused a real rift in Chechen emigré circles. Here were some new institutions of power declaring themselves to be the Ichkeria’s legitimate heirs. How do you see it? Do you think now that your position as an opponent of the Kremlin and the Kremlin-backed Chechen regime has been clearly stated once again, the people who turned away from you will give you back their trust? Or is the split now too deep to be overcome? AZ: There is no split, there are different approaches and different views. Everone who criticized the actions of our government for seeking contacts with the puppet regime did so from the standpoint of the unconditional recognition of Chechen independence and statehood. And in that strategic sense there is no confrontation between us. Anyone who creates new institutions of power today must reckon with our Constitution, the provisions and rules by which we are governed. Not a single person has refused to cooperate with us, except for Lyoma Saralyapov, who suddenly, almost on instruction, tried to undermine all our achievements (and we did have some successes). Together, as colleagues, we have discussed all the issues I raised at the talks, though we haven’t gone public on it. Of course, to the uninitiated much has been unclear, and this has given rise to anxiety and negative reactions. But knowledge carries a rather high price. The fact remains that if you belong to the structures of the ChRI today you put your life in danger. You can call yourself anything you want: an Emperor, an Emir, a Caliph, the President of the Supreme Council, and you won’t be killed for it. But you will be killed if you work in the real structures which constitute the only legitimate successor to the government of the ChRI today. So there is no split. The Chechen émigré community shares by and large a single platform of an independent Chechen state, and minor misunderstandings can be overcome. PW: You've repeatedly made accusations against the leadership of the Caucasus Emirate. They, in their turn, don’t leave you alone. Don’t you think that the Islamic resistance also represents the interests of the Chechen people, and perhaps quite a large part of it? Do you plan to maintain a dialogue with them anyway? AZ: I’m glad that you asked this question. Indeed, when we were in talks I firmly expressed the view that we need to speak to Dokka Umarov. It doesn’t matter whether we recognize him as the Caliph or Amir of the Caucasus or not – this man exists, and behind him there are certain forces. And they can’t be defeated in war since they are only bearers of the ideas of Chechen independence, even if in the course of military action that basic doctrine has acquired different forms and is trying to distance itself from its true roots. At any rate, the people who march under the banner of religion are also people who are not willing to put up with the current situation in Chechnya. I have stated the need to hold talks with them, and have said so both in public and in private conversations with representatives of the current Chechen regime. As for the fatwa condemning me to death, which was announced by Astamirov, you simply need to read who Astamirov is. I know that this fatwa was prepared a year ago, but it was no surprise to me that it came to light just at the moment when I had to make some concessions in the course of the talks. I suppose it was a means of exerting pressure, an attempt to force me to take the option they considered best. It’s obvious that our strategic intentions were different, and that it was only our temporary interests that coincided: they had a plan for me, but we had ideas of our own.